Local beekeeper Melissa Cartwright, who set up a stationary beehive in the back yard of our shop, has sent us our long-awaited shipment of her decadent honey. Yes, ladies and gents, that means Mellifera Bees is back on our shelves, and with fresh new packaging that we think is quite beautiful. 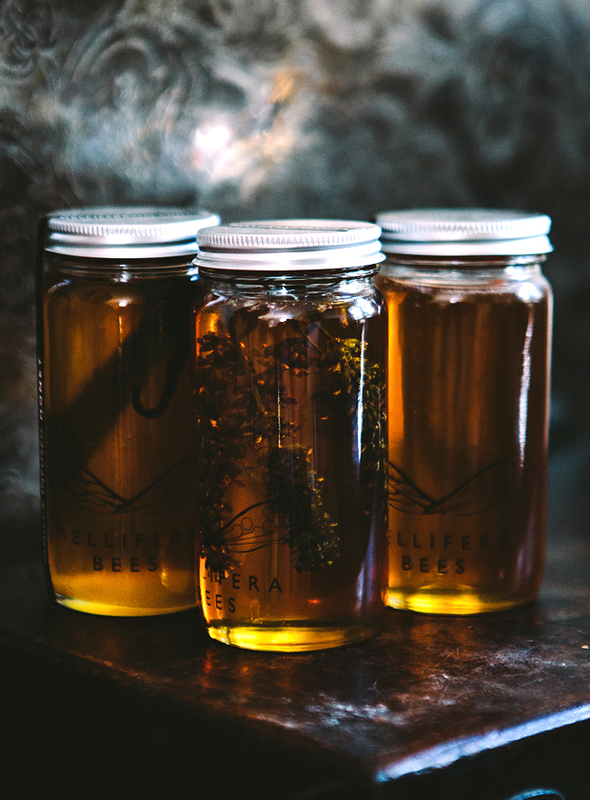 Using last year's events as a guideline, we recommend that those who are interested in getting your hands on Melissa's honey for your home or as gifts should come in sooner rather than later.